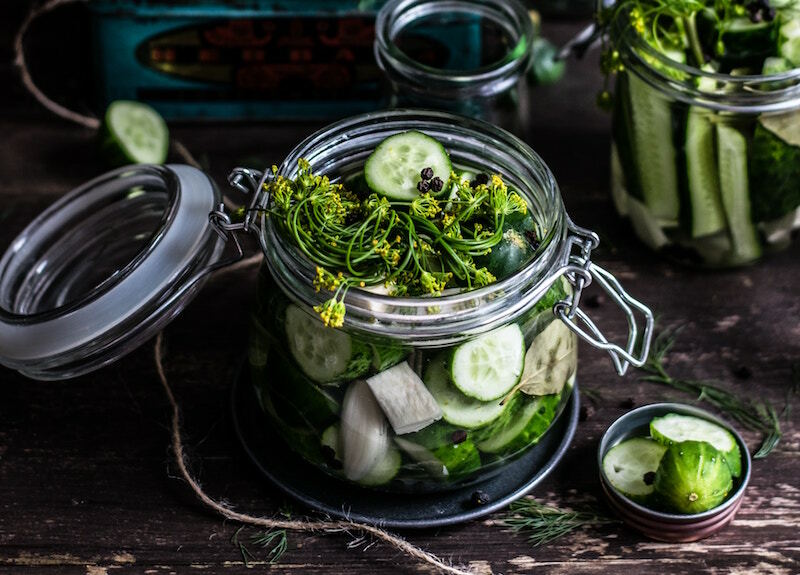 Inside Scoop: We break down what fermentation is, the benefits and risks and how you can make your own cultured vegetables at home. This post was submitted by Tara Henos or The Mama H, wife and mama, living in Southern California with a passion for healthy living. I’ve only learned about fermented foods about five years ago. I heard about sauerkraut and I thought, “No wonder I like brats!”. Now, I eat sauerkraut out of the jar I buy at Costco by the spoonful and I still think it’s so delicious. When people think of fermentation, what often comes to mind is wine or beer. But, as it turns out, you can ferment (or culture) so many other things. And no, unfortunately drinking wine or beer does not have the same benefits as eating cultured vegetables for example because the fermentation process is different. Sorry! Fermented foods seem to be all the rave these days. Have you been to Whole Foods or another natural food store lately? I’m sure you’ve seen a wall or end-cap specifically dedicated to kombucha (a.k.a booch) and other fermented or probiotic drinks. As you may or may not know, booch is a fermented tea! The fermentation process allows it to become a bubbly drink known for its probiotic qualities (and a great substitute for alcoholic drinks). Other known fermented foods include sauerkraut, kimchi, tempeh, miso, pickles, kefir and plain yogurt. We’ve all heard by now that probiotics are incredibly beneficial to your gut and overall health and in boosting your immune system. Before getting to the benefits though, let’s backtrack and talk about what fermentation really is. Uncovering this process will help us understand where some of these benefits may come from. Fermentation specifically refers to a chemical conversion that takes place when you add a salty mixture (called brine) to a food and let it sit overnight. In the absence of oxygen, the yeast or bacteria convert sugars to organic acids or alcohol. This environment allows for the good bacteria to thrive and discourages the growth of the bad guys (proper preparation and hygiene is important here). The process produces lactic acid which gives those foods the sour taste. It also preserves nutrients, makes foods easier to digest and improves overall gut health. Humans have been using this method to preserve food for thousands of years. Contain good bacteria (natural probiotics): These probiotic bacteria help line your stomach with a shield and fight off the growth of the bad bacteria. This maintains the natural gut health balance, keeps your immune system strong and helps you stay healthy! Improved digestion: The fermentation process breaks down the sugars and carbohydrates, so your stomach doesn’t have to. This means it will be easier for you to digest. If you have a hard time digesting raw fruits or veggies, fermented foods may help! That’s one reason people with lactose intolerance may not tolerate milk, but can see improved benefits from yogurt or kefir. More nutrients: Since the process of fermenting predigests the sugars and carbohydrates, it leaves the remaining food with more vitamins and nutrients. Think of it as though a plant thrives in a healthy environment. Your food does the same thing! Reduces Anti-nutrients: The culturing process makes not only makes nutrients more bioavailable, but it even deactivates some anti-nutrients such as phytate and lectins in grains and legumes making those foods easier to digest and absorb by the body. Healthy immune system: There is a quote by Hippocrates, “All diseases begin in the gut”. It’s true because 80% of your immune system resides in your gut. Read the scientific research here. When your gut is healthy, so are you. Reduced sugar cravings: When the lactic acid occurs after fermentation, it gives these foods a sour taste, which can reset your taste buds and take the edge off when you’re craving something sweet. Also, when you have a higher amount of good bacteria in your stomach, you’re less likely to crave sugar! Do I hear weight loss? Pair it with this 7-day high fiber meal plan to help curb those cravings. Critical after taking antibiotics: Antibiotics completely get rid of all bacteria in your system, good and bad. It’s so important to reintroduce that good bacteria into your system because it helps in creating antibodies that are essential for a strong immune system. Longer shelf life: The fermentation process naturally allows the food to last longer. I’ve heard some keeping fermented foods in their fridge for years – yikes. Sauerkraut definitely wouldn’t last that long in my house. Use common sense here. If it’s moldy, has a weird color or smell, it’s time to toss it. For all of you Mama’s, I’ve also done extensive research on the benefits of probiotics and fermented foods for babies. It’s so important for those babies who were born via C-Section or have received antibiotics in their early days. Unfortunately, my son was born via C-section and had to receive antibiotics in the hospital as well. I was extremely nervous about what it would do to his immune system not having any beneficial bacteria. The benefits are just the same as adults! It helps with tummy troubles, sickness, diaper and skin rashes, and aids in digestion. You can start out with a little bit of sauerkraut at 6 months. They will definitely make a sour face as they get used to the flavor. I would absolutely recommend to start slowly and give it to them maybe once a week and at most, a little only once a day. Think of it as a condiment, not as a meal. My 16-month old now loves sauerkraut and will happily eat it daily. He has also never been sick! While as we saw above fermented foods can be incredibly nutritious, there are some risks. Most of the risks come from not following proper hygiene in the fermentation process, but this can be easily identified. People that may have candida overgrowth or SIBO may not be able to tolerate cultured vegetables and foods that may make their digestive symptoms worse, so start slow. Some studies have linked pickles to a higher risk of stomach cancer and high blood pressure due to the high sodium content. More research is needed on this topic, and in the end, it’s all about moderation as well as choosing high quality pickles that are found in the fridge section of the grocery store without unnecessary preservatives and colors, or simply making your own (recipe below). Don’t forget that unpasteurized/raw foods are not recommended during pregnancy. The benefits of fermented foods go on! 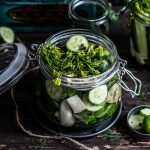 If you’re new to fermenting and want to give it a go, try out this easy cultured cucumber recipe at the end of this post. Don’t want to make your own? I get it – try buying these! Pickles, sauerkraut, kombucha, kefir, probiotic yogurt, and raw (unpasteurized) cheese. Start with a couple of bites a day and work up to half a cup. Something is better than nothing! And remember to always try and buy organic when you can. Eating a ton of cultured vegetable and foods won’t cure any gut issues you have. Too much of a good thing is never a good thing. It’s about balance and consistency for a healthy lifestyle daily. Focus on your health from the inside out. Wonder what other healthy foods you can stock in your fridge? Download your Healthy Food Swaps Fridge list below. 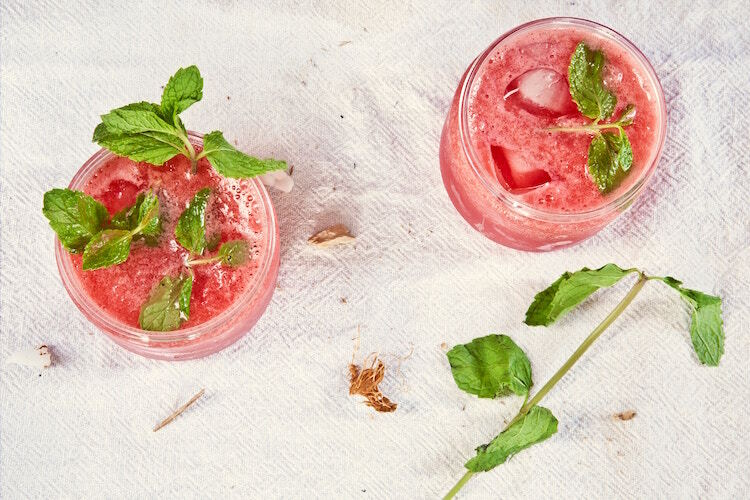 Light and refreshing cultured cucumber recipe that's perfect for the fermentation newbie. Make sure to wash/rinse the cucumbers well. Slice cucumbers in thin slices. 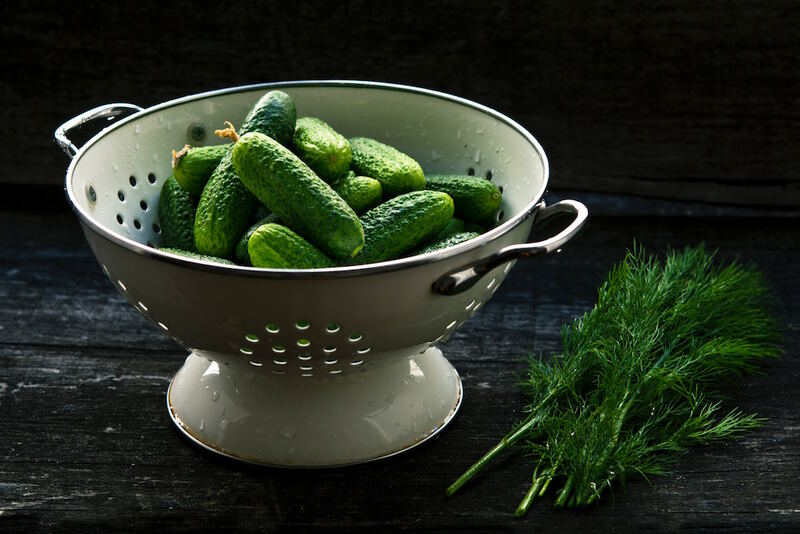 Mix cucumbers, onion, sea salt and dill in a bowl. Add mixture into the jar. Pour filtered water to fully cover mixture. Cover with lid, but not tight - let it breathe. Let sit for 2-3 days on the counter, out of sunlight, then refrigerate with a tight lid. The Mama H was created as an outlet to share different ideas than those generally shared through mainstream. I am a wife and a mama, living in Southern California. 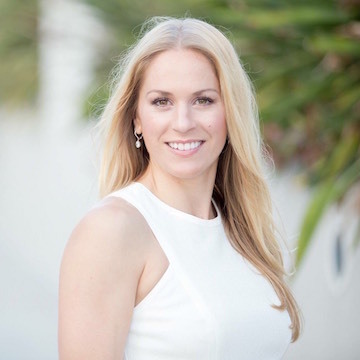 I am currently working a full-time job in the corporate world, but my real passion is to educate others on traditional nourishment, clean products free of harmful ingredients, staying fit and taking care of ourselves from the inside out. I want to educate others on the toxins that surround us, not just what we breathe or eat, but also what we put on our skin, and what we can do about it. I hope to raise awareness for the under regulated skincare industry and add more voices to our mission. Wow, I think this lady should be nominated for the Pulitzer Prize..!!! Thank you Roscoe. Glad you enjoyed the post and she is indeed terrific!